One way to discourage repeat business is to ignore mandatory site maintenance and cleaning. It is already difficult to find new customers, but so much effort to find new customers is pointless if they do not return after their initial visit. New customers will not return if they are not comfortable in your carwash, with dark bay walls, moldy ceilings and dirt-caked floors. Unfortunately, without the proper chemical application and dwell time, cleaning carwash bays are quite a challenge. Phoenix Clean uses a non-scrubbing chemical application that can return bay walls to a like-new conditions. In the past, chemicals required hours of scrubbing with no real results. With some new advancements, modern wall cleaners are not working if you have to scrub. Due to the intensity of the chemicals, scrub free formulas are much safer for users. These problems lead to inconsistent cleaning results. It is imperative users of scrub-free chemicals are aware of the chemical properties as well as their use. Why do the bays become so dirty? Car wash bays become so dirty because of how the car wash reclaims water and because of overspray. Much of the soap and waxes used during the car wash build up on the walls and ceiling over time. This is very difficult to simply scrub off. 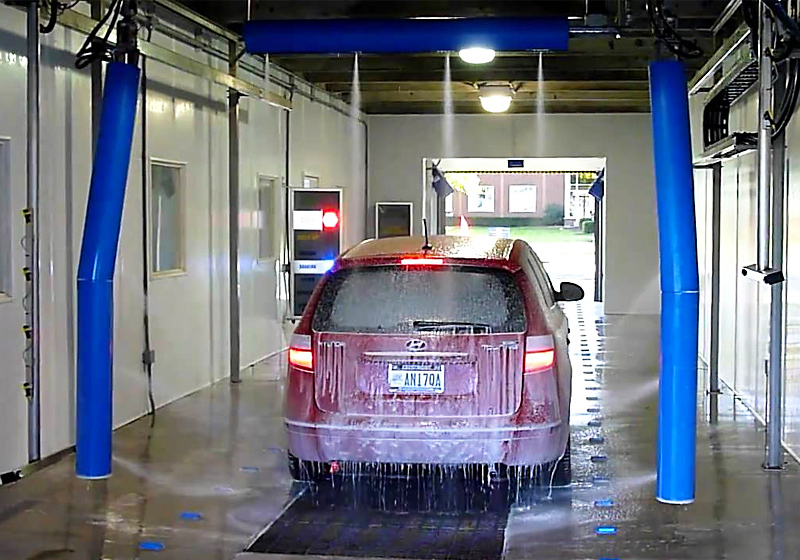 Phoenix Clean is in charge of 190 car washes throughout Texas, and the experience has most definitely shown proven results. With over 20 years of cleaning expertise, let Phoenix Clean tackle your car wash bays before you spend hours of irrational scrubbing!